As those in the probiotic supplement industry know, business is booming. Likewise, dietary supplements in general have grown from 4,000 products just 25 years ago to about 80,000 today. These sheer numbers in addition to uncovered shenanigans—ginkgo-free gingko supplements in one example—has led the United States Food and Drug Administration (FDA) to announce strengthened regulation. On February 11, FDA Commissioner Scott Gottlieb, M.D. issued a statement outlining steps the agency will take in the coming months. The FDA has sent 12 warning letters and five online advisory letters to companies whose products, many marketed as dietary supplements, are accused of using unproven claims saying they prevent, treat or cure serious diseases such as Alzheimer’s disease, diabetes and cancer. The companies have 15 business days to explain how the violations alleged by the FDA will be corrected. The 1994 Dietary Supplement Health and Education Act (DSHEA) already foists some rules on the manufacture and labeling of dietary supplements, much like it does with food. However, the FDA doesn’t review whether a supplement works and is safe, as it does with prescription drugs and over-the-counter medicines. In other words, manufacturers are largely on the honor system to ensure safety and efficacy of their products. 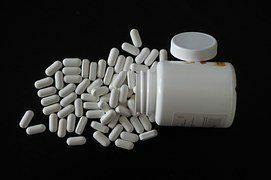 Even so, the FDA does warn and/or remove unsafe supplements from the market as it did when Rhino male enhancement products containing an active ingredient also in Viagra were reportedly enhancing male parts a bit too vigorously. The FDA invites all stakeholders to share their views on how the FDA should strengthen the dietary supplement program for the future. A public meeting is planned this spring to address responsible innovation in the dietary supplement industry.